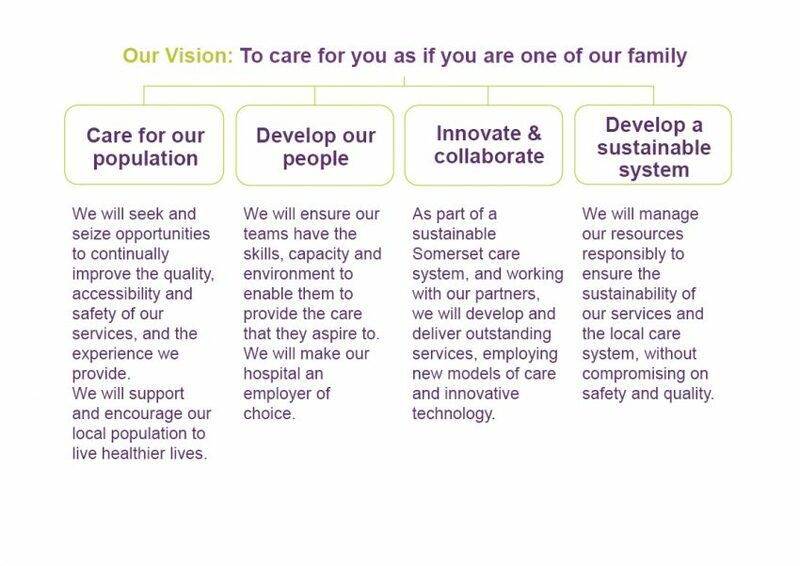 The Trust’s vision and priorities describe our ambition and what is important to our hospital and our staff. The principles of iCARE underpin all that we do within Yeovil Hospital; whether it is providing a life-saving treatment, or a warm welcome at reception. By all taking individual responsibility in meeting the iCARE principles we help to deliver our vision and create a hospital in which people want to work, and in which people want to receive care.